I guess I had it in my head that they were going to release this on May 28, 2009, which would be the 101st birthday of Ian Fleming. 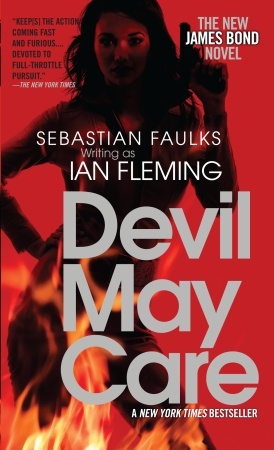 Turns out the US went ahead and published Devil May Care in paperback form on May 19th. You can get it in two different flavors: mass market paperback or a trade edition. Odd they did this because, well, they never do. Not with Bond anyway. UK folks can probably get Devil May Care on bookshelves now in paperback too. The official release for it is May 28th, but Amazon.co.uk is shipping now and according to the official Penguin007 site, which has gone through another makeover by the way, says it’s out now.